Joshua Ibarra is a fourth-year journalism and Japanese language student at East Los Angeles College. He takes four courses and walks to and from class across the 82-acre campus in Monterey Park, California. He lugs his backpack, filled with $200 textbooks, his pockets as empty as his growling stomach. Ibarra is forced daily to decide between transportation to get to school or food to feed himself through the day — his budget does not allow him to have both. He doesn’t go to the school cafeteria because he doesn’t have a meal plan and the food items that were once moderately priced, Ibarra says, now cost $2 to $3 more. He is not alone: 13 percent of students at two-year colleges and 11 percent of those at four-year schools do not have enough to eat. Students who are food insecure are more likely to miss a class, drop a class, or not purchase required textbooks. Not having enough food to eat is associated with poorer health and lackluster academic performance, as well as anxiety and depression in some cases — all of which place additional barriers for low-income students determined to make it to and through college. The dire situation some college students face when it comes to having enough to eat received national attention in November after students at Spelman and Morehouse colleges in Atlanta staged a hunger strike to change a policy that prevented them from giving their unused meals to classmates in need. Student protesters ate vitamins and drank water in solidarity with the roughly 1,400 students on both campuses who did not have a meal plan or regular access to food at school. The strike lasted for about a week when Aramark, the $9 billion food service giant, and Spelman reached a solution to reduce food insecurity on campus. Spelman president Mary Schmidt Campbell released a statement saying the college will provide up to 7,000 meals during the second semester to students who live off campus and are facing hunger. A petition circulated proposing that Spelman and Morehouse implement a Swipe Out Hunger system allowing students to share excess swipes on their meal plan cards. 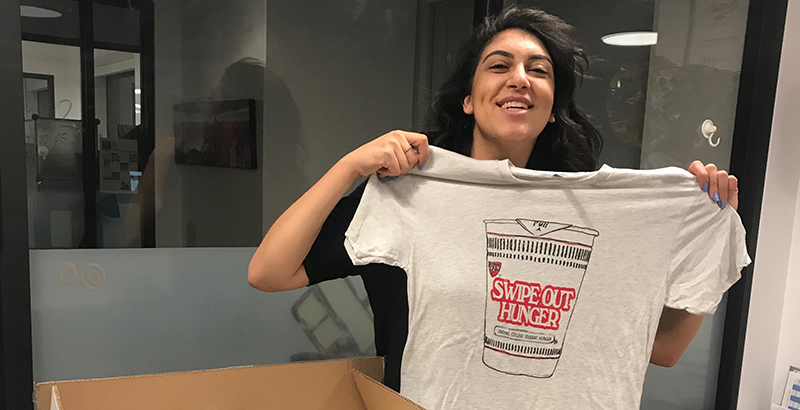 Rachel Sumekh, founder and CEO of Swipe Out Hunger, told The 74 that she is working closely with student leaders and administration to bring the “Swipes” program to campus. The longtime hunger-free-campus advocate believes that a basic need like access to food should not stand in the way of a student and his diploma. 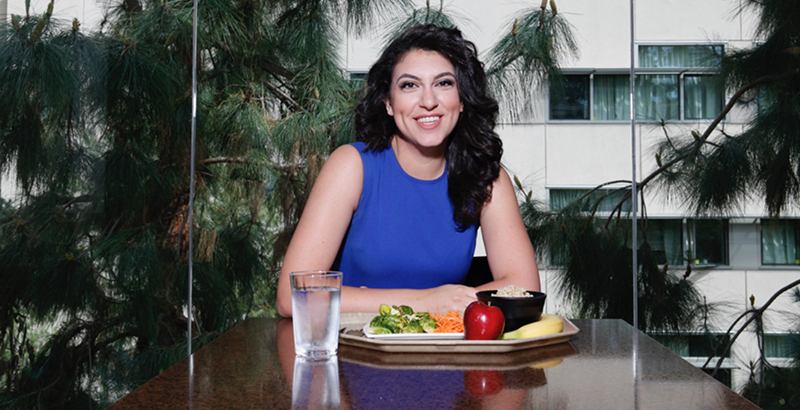 The nonprofit works closely with colleges to implement meal-sharing programs, serving over 1.4 million meals to food-insecure students on 36 campuses since it was created in 2009. Sumekh points out that the students her organization helps are the same ones who qualified for free and reduced-price lunch when they were younger. In June, California governor Jerry Brown signed the state budget, which awarded $2.5 million each to the UC, CSU, and California Community College systems to develop Swipe Out Hunger meal-credit sharing programs, create campus food pantries, and train college employees to assist students with enrolling to receive food stamps. Sumekh said she received an email a few weeks ago from a higher education official in New York governor Andrew Cuomo’s administration interested in setting up a Swipes program at SUNY Albany. Ibarra, 23, lives with his grandmother and has a part-time job working security at a nightclub to pay for school. When he did receive financial aid, Ibarra said he still struggled. “The common misconception was that I had money … It’s not like I can just freely spend that money on whatever I want,” he said. The funds had to cover tuition and supplies, and last for the fall and spring semesters, along with intersession and summer. College is expensive. College textbooks prices have risen over 1,000 percent since 1977, with the average price now ranging between $200 and $400 per book. “After paying for my school supplies, fees that I have to pay up front for my health insurance and other incidental expenses, usually half of it is gone by the first two months of the semester,” Ibarra explained. While the cost of higher education skyrockets, financial aid programs could be shrinking. Congress is in the process of rewriting the Higher Education Act. The GOP-controlled House has put forward the “Promoting Real Opportunity, Success, and Prosperity Through Education Reform Act” — known as the PROSPER Act — which, among other things that could hurt low-income students, would eliminate the Federal Supplemental Educational Opportunity Grant. That grant provides as much as $4,000 for those with “exceptional financial need” and was used by more than 1.5 million students in the 2015–16 school year. College student hunger is a pervasive issue, one that Sumekh thinks is perpetuated by worn-out stereotypes that glorify the hardships of university life. Ibarra is the first in his family to attend college. Coming from a family with origins in Mexico and Peru, he says, there is a disconnect between what they think college is like and the reality of it all. Sumekh, a first-generation American born to Iranian immigrant parents, experienced childhood hardship and difficulty navigating college as well. When she was applying to school, she did not fill out the Free Application for Federal Student Aid (FAFSA) her first year simply because her parents did not know what it was. Being the CEO of Swipe Out Hunger has made her acutely aware of the challenges that food- insecure students face, and for her, the support and resources that her family eventually received literally were the difference between an American dream realized and a dream deferred. “We’re not trying to give handouts. My family grew up on food stamps and it was what gave my parents the capacity and the mental space to pursue the American dream that they moved to this country for. Before I finished middle school, they were thriving, they achieved the American dream because there was this public service that allowed them to do that,” she said.